Carpet shopping in Istanbul is an intense experience. With an endless amount of styles, sizes, and colors to choose from, picking the right one from the right shop can stress out even the strongest of shoppers. 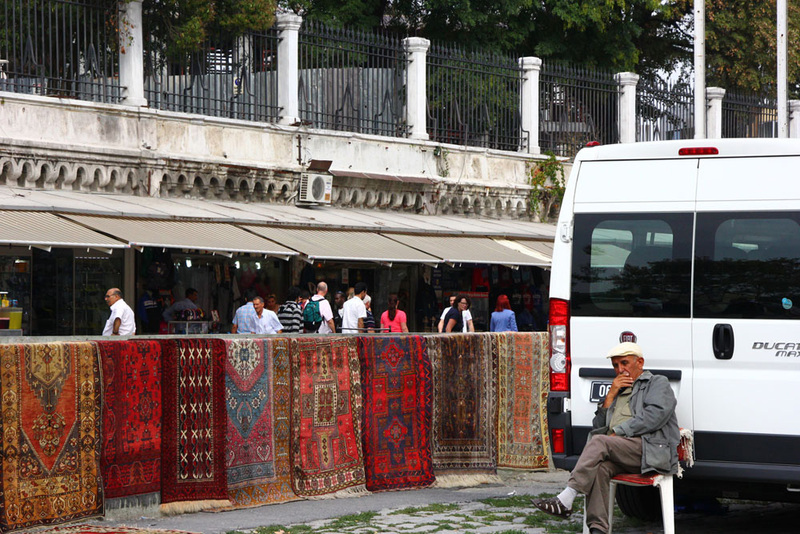 But as intense as it may be, buying a rug in Turkey is actually a good idea. 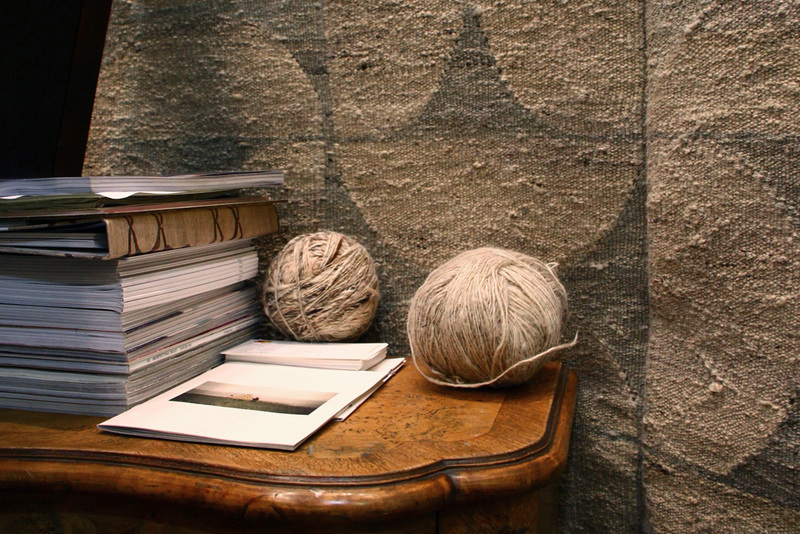 Some of the world’s best craftsmanship on wool kilim rugs and detailed carpets is Turkish. And out of all the souvenirs I’ve bought over the years, my Turkish rug is one of the few items I know I will always have. I was so excited when I first set out to buy a carpet. The idea of hunting through piles of handmade designs and drinking tea in Istanbul’s bazaars was definitely going to be an unforgettable experience. But after dragging myself to six different stores, and after hours of watching salesman lug out carpet after carpet that I didn’t like, I lost my will to shop. I was basically searching for a needle-in-a-haystack. Though I’m not the world’s best interior decorator, I do know what I like – simple designs, simple colors, and natural tones. 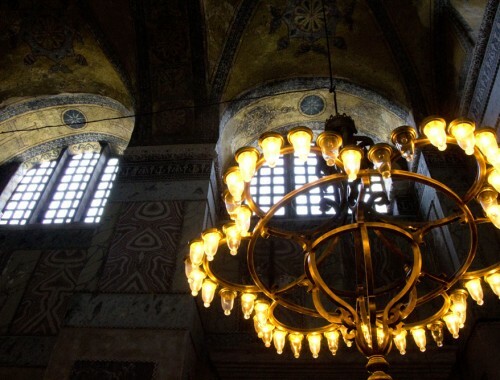 Not too much to ask, but also not really the Turkish aesthetic. On top of finding a carpet that I liked, the impending doom of bargaining was starting to make me nauseous. 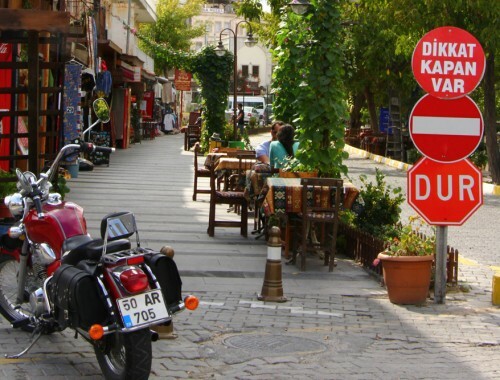 In Turkey, bargaining is a custom and in places where prices are not set (e.g. most carpet shops), and you must at least try. I do not excel at bargaining and Matt is generally not excited to do my dirty work. this guy looks harmless though, right? 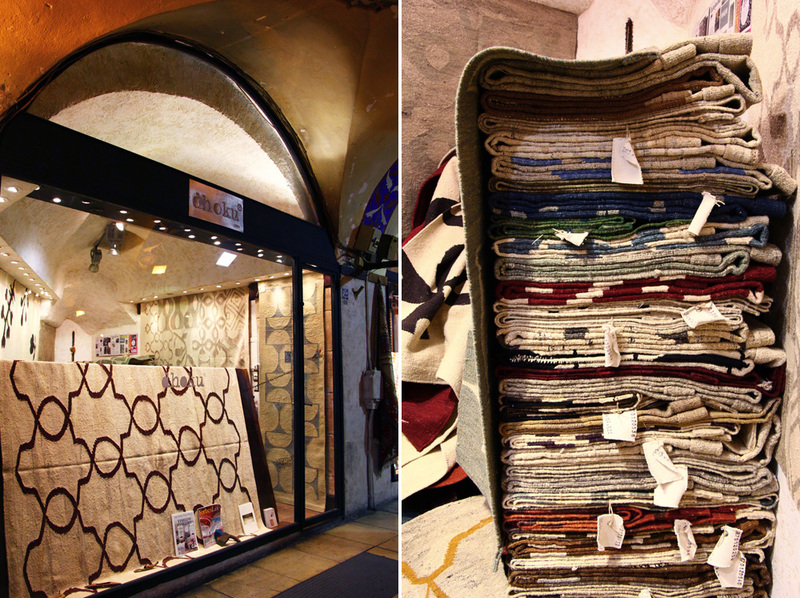 I had nearly given up on finding a carpet until we stumbled on a different kind of carpet shop in the Grand Bazaar. 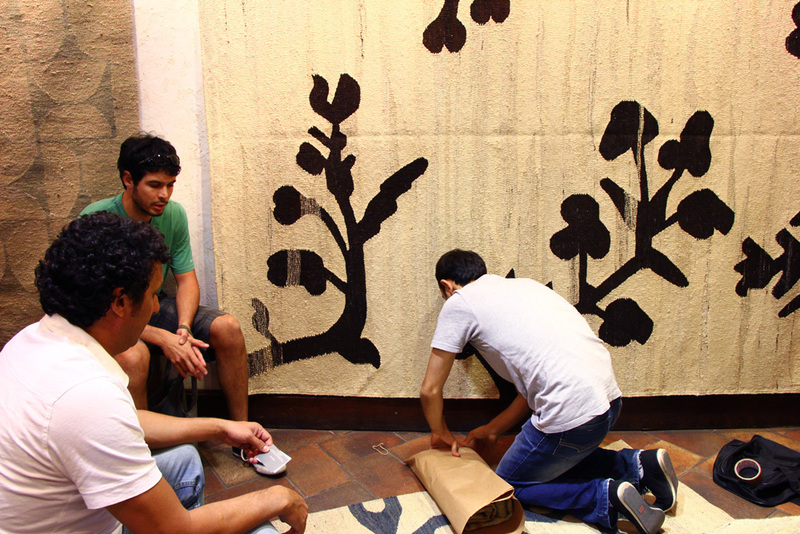 The carpets were modern and fresh, with natural colors and simple designs. Turkish handmade quality and materials but with a more European flair. And all dyes and wool were organic. 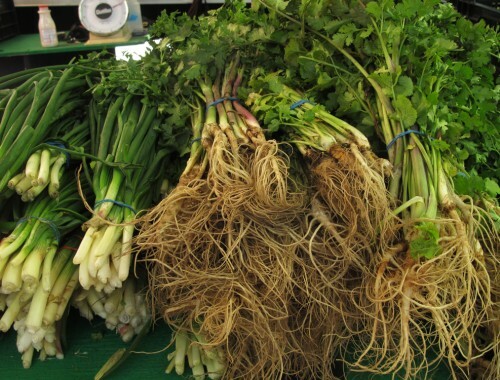 AND they were sold at a set price per square meter. HEAVEN. 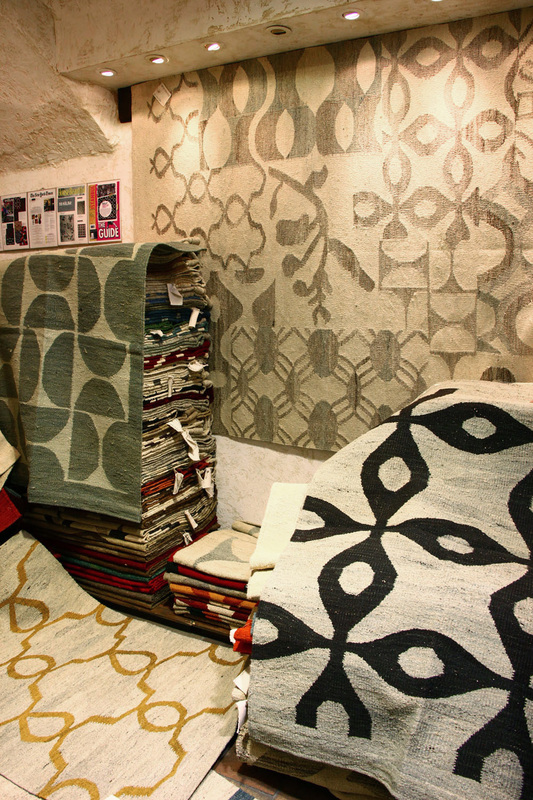 Dhoku sells two distinct styles of carpets: a modern kilim(flatwoven) with geometric prints and a monochromatic patchwork carpet. These styles, as it turns out, are quite popular in the western design world. Apparently both have been featured in many high style magazines such as Instyle Home, Vogue, and House Beautiful. It’s pretty exciting that a small business with tiny shop in the messy Grand Bazaar has this exposure. But to me, finding this carpet shop was all luck. 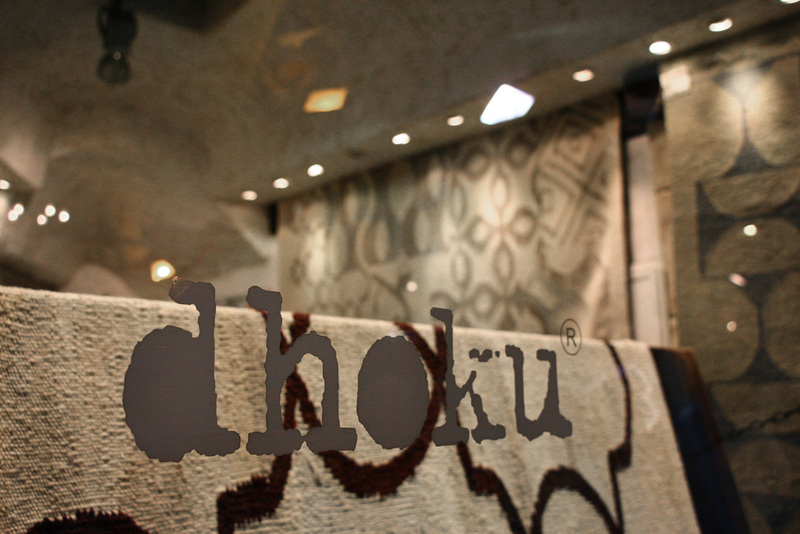 I had never heard of Dhoku before I spied this beautiful carpet in the front window (below) *just* as I was going to give up on my carpet quest. It didn’t take long to find a carpet I loved since all of them were beautiful. And it took even less time to buy it as the price was set. Easy choice, easy payment. (For the record, we bought the tan and yellow carpet that’s sitting on the floor in the photo below. It’s about 4 feet x 6 feet.) I couldn’t have been happier to find a Turkish carpet that I actually liked in one of the most famous markets in Istanbul. And to top it all off, they packed the carpet up into a tiny little zipper bag so we could easily carry it around on the rest of our trip. No shipping necessary. 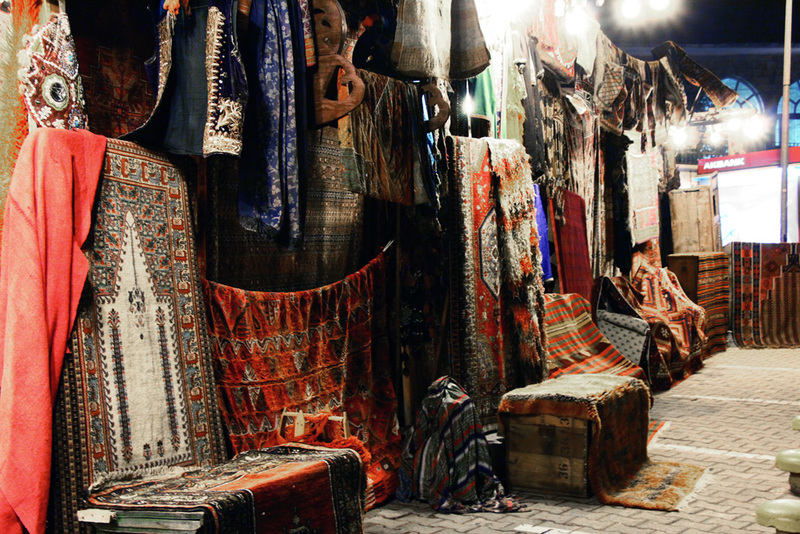 While I do love immersing myself in local shopping customs, and while forcing myself to bargain (like I did in Morocco) has turned me into a more confident traveler, it can be nice when purchasing a souvenir is easy and fun. Especially when it’s something as beautiful as a Dhoku Turkish carpet.